The Few versus the Many . . . This past week I had the opportunity to visit with a director from one of the largest FMCG (Fast Moving Consumer Goods) companies in the world. They are headquartered in London so it was just a short ride on the underground for me. The meeting was set up by a colleague and the purpose was to understand their needs in terms of large scale behaviour change and corporate sustainability. We were ushered into a dramatic glass walled meeting room on the top floor of the headquarters building overlooking the Thames River. Ours was not a river view room, but rather one that looked out over the roof tops of sprawling London. Our host said it was her favourite meeting room since the view reminded her of the Mary Poppins movie. I liked her instantly. And she was extremely professional and passionate about the purpose of their company and the need to build a better world for their customers and the global communities they serve. In fact, she went on for nearly half an hour telling us about all the various initiatives senior management has sponsored to move the sustainability agenda forward towards some very big corporate goals (double the size of our company whilst reducing our environmental footprint and increasing our positive social impact). But about 20 minutes into her recitation of all the various social, environmental, external and internal initiatives, I was beginning to feel mentally exhausted and found myself tuning out. My mind started to serve up nagging questions: “How can so few people reasonably take on such a large number of initiatives and accomplish them and feel successful along the way?” Then she hit us with a stunner! She said those were just this year’s initiatives. Next year, a whole new set of initiatives start, and so it goes year after year! Now I was really exhausted. When we asked what her biggest needs were, I could almost have written the script. 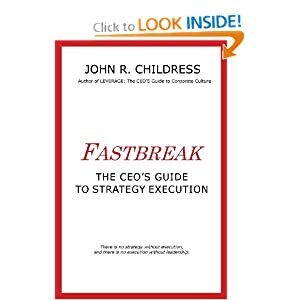 Here is a perfect example of “initiative overload”, the topic of several of my previous blogs: Initiative Overload: The Hidden Drain on Company Profit and Productivity, Initiative Overload and Strategic Alignment. In reality the solution was not at her level. It’s not about working smarter, being more empathetic of the long hours, adding more people, getting more resources. Stop the merry-go-round, I need to get off! The solution lies with the senior leadership team. Instead of multiple initiatives which change every year, why not focus on one or two initiatives and tackle them cross-functionally, for two to three years, make real change happen, then build from there? Sometimes a scalpel is better than a shotgun! 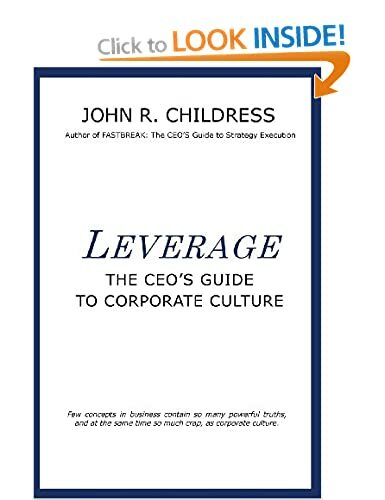 This entry was posted in consulting, corporate culture, John R Childress, leadership, Organization Behavior, strategy execution and tagged FMCG, initiative overload, leadership, London, Pogo, River Thames, social impact, social obligations, strategic initiatives, sustainability. Bookmark the permalink.